Please join us on Sunday, Tuesday and Thursday evenings. We can run two starts for Lasers and Catamarans. Tuesday & Thursday at 6 pm from May to August. All Laser sailors are welcome to join in! Laser training available on Thursday evenings. If you are interested in some basic racing tips don't hesitate to contact the Race Rat, or other experienced racers. We all started at the back of the fleet at some point. There is no formal club racing on long weekends or statutory holidays. Typically we will have 4-6 Laser races per evening/afternoon. 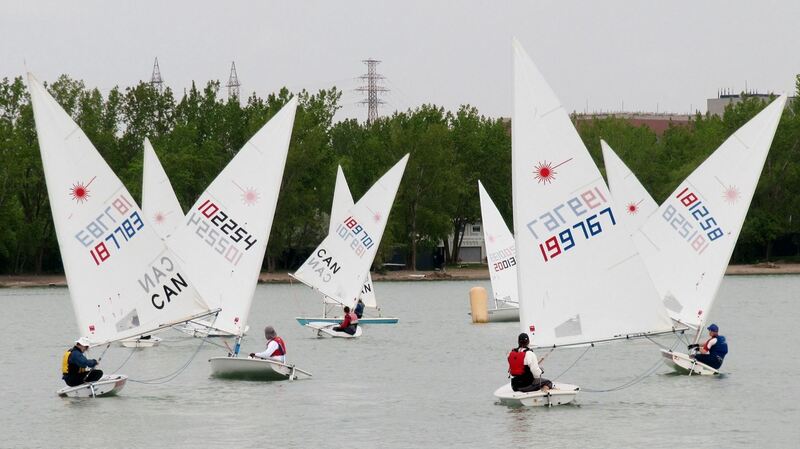 We also participate in the Ontario Laser Class regattas. 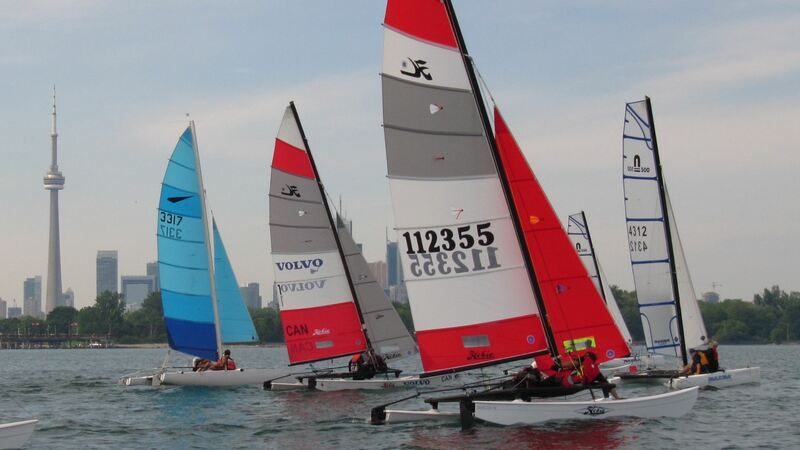 Water Rats has the largest active Laser racing fleet in Canada, with more than 10-20 boats on the starting line. Please contact the Race Rat to be added to the Water Rat Laser Racing email list and keep an eye out on the website. Sunday at 1 pm in April, September and October. 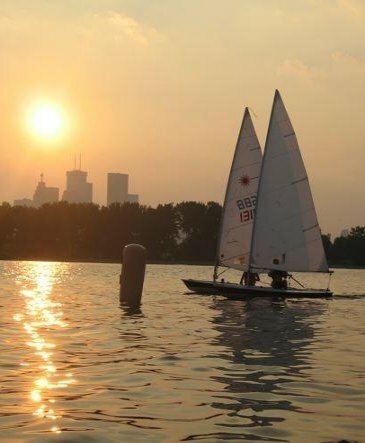 In keeping with the spirit of the Outer Harbour Sailing Federation races at Water Rats are open to members of neighbouring clubs such as the St. James Town Sailing Club who host races for Lasers and Albacores on Friday night. 2015-2017, please contact the Race Rat. Below results are in Excel format.